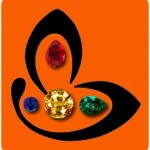 Comments Gemstones are just that – the most enamoring and enchanting creation of nature. You behold them or you touch them, you are instantaneously transported into a different world. Featured today is a fantastic unheated natural Ceylon Blue Sapphire of 1.83 carats set in Sterling silver as a ladies Blue sapphire ring. 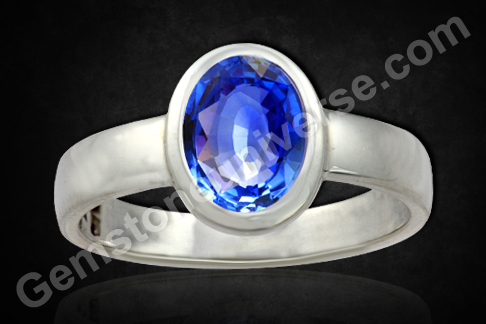 The most captivating feature of this lovely gemstone is its color – superior Kashmir cornflower blue. The Kashmir blue sapphire is no longer seen though, sometimes nature bestows an odd wish and the result is a gem that resembles the characteristic Kashmir cornflower blue color. It is a vivid, striking blue – a color that has served as a muse and a vital component in many artistic endeavors. Blue Sapphire or neelam stone is the gemstone of Lord Saturn / Shani in Vedic astrology and is used to harness his energies. 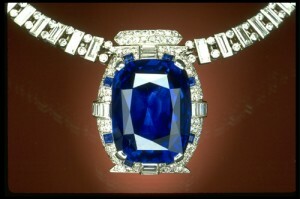 The benefits of Blue sapphire gemstone are transformational and can lead to very tangible qualitative changes in life.